Mix all the dry ingredients in a bowl including the cinnamon. Drizzle the coconut oil into the bowl, while mixing well with your fingers. Be sure to break apart the oil clumps. Add bananas to the mixture. Mix well. In a separate bowl, whisk the eggs and mix in the apple juice and vanilla extract. Fold the liquid ingredients into the dry ingredients. Don’t over mix, if the batter looks too dry add a little more apple juice, until lumpy, but not too wet. 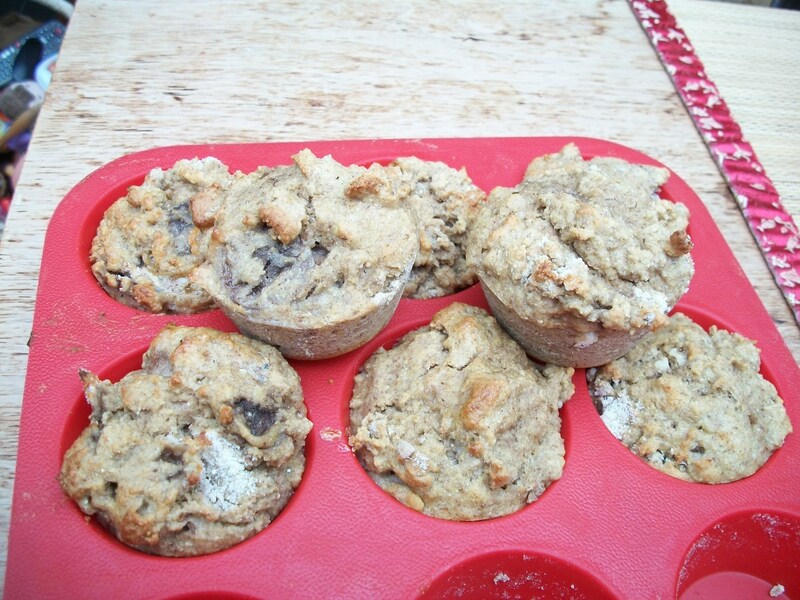 Spoon the batter into muffin tin. Bake at 375° F for 15-20 minutes, until a toothpick inserted into it, comes out dry. Let it cool on the rack. Serve. P.S. Rosanna grinds her own grains into flour and also nuts, by using a coffee grinder.